The New Year is under way and for many, it is time to think of a New Year’s resolution. This might consist of changing a behavior that we wish to improve, or attempting to accomplish a goal. 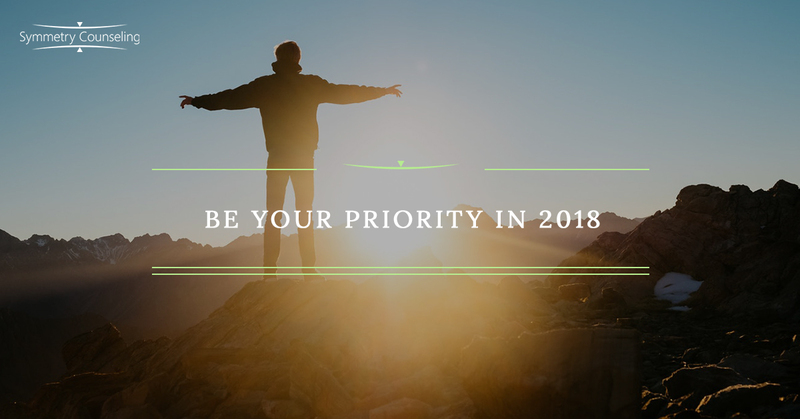 If you find yourself unsure of a resolution to try this year, making yourself a priority in your own life. I often use the metaphor of a cup to explain how important it is for us to prioritize ourselves. Some of us may feel guilty spending time on ourselves (filling up our own cup) and feel that we should spend time focusing on other things (pouring out of our cup); but refilling our cup is the most important part, because without doing so there would be nothing to pour out. What we should be working on is prioritizing refilling our cup, and we can do this effectively through self-awareness and self-care. In a society that focuses on selflessness, we may lose sight of ourselves and become unfamiliar with the person we see in the mirror. I hear from others that when they spend time thinking of themselves, they begin to feel that they’re being selfish and that they’re doing something wrong. This is understandable, yet it is important not to confuse self-care and self-awareness with selfishness. This is especially the case when we feel that our safety, and physical or mental health is at risk. Prioritizing ourselves often begins with a journey of self-awareness. The “fresh beginning” of the New Year is a perfect time to begin the journey of self-awareness. In order to make ourselves a priority, it is important for us to know who we truly are. We have a full 365 days to understand our personality, strengths, weaknesses, values, and emotions. This process can be daunting for some, as looking within could be a fresh and challenging experience. As we acknowledge these aspects of who we are, we are able to determine if we are on the right path of who we want to be, and what we want to accomplish. With the “New Year, New Me” mentality that comes along with New Year’s resolutions, it is important for you to evaluate yourself fairly through the process. As you make yourself a priority, you should be acknowledging the parts of you that you appreciate and enjoy. Not every aspect of who you are needs to be reinvented. Through the challenge of understanding the aspects of yourself that you would like to work on, there are many coping skills and self-care techniques to help you in the process! As a reminder, in order to fully prioritize yourself, you must continuously refill your cup. Coping skills and self-care techniques are enjoyable ways to feel good and refill your cup on a daily or weekly basis. The frequency of how often you refill your cup should depend on how much you are pouring out to other things. Self-care can be physical, spiritual, mental, emotional, or social. Some examples of self-care could be daily exercise, reading for a couple of hours a day, journaling in the morning, or going out for a nice meal with friends. It is important to note that these techniques are not one size fits all. Through the process of self-awareness, you will be able to find the techniques that work for you! 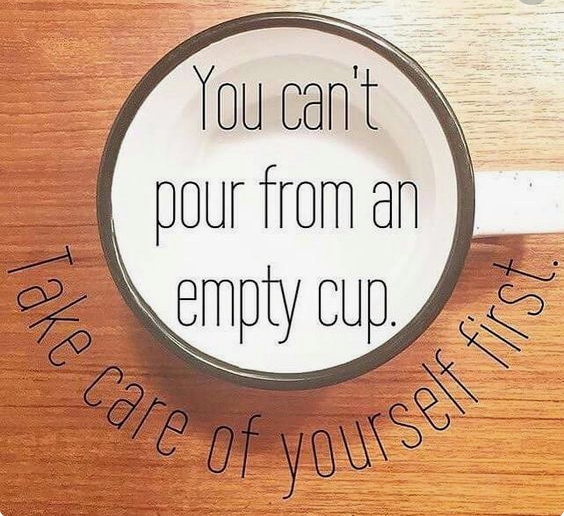 Remember, you cannot pour from an empty cup; take care of yourself first. If you find difficulty in making yourself a priority, it may be helpful to connect with a therapist. Contact Symmetry Counseling today to be connected to one of our skilled clinicians!